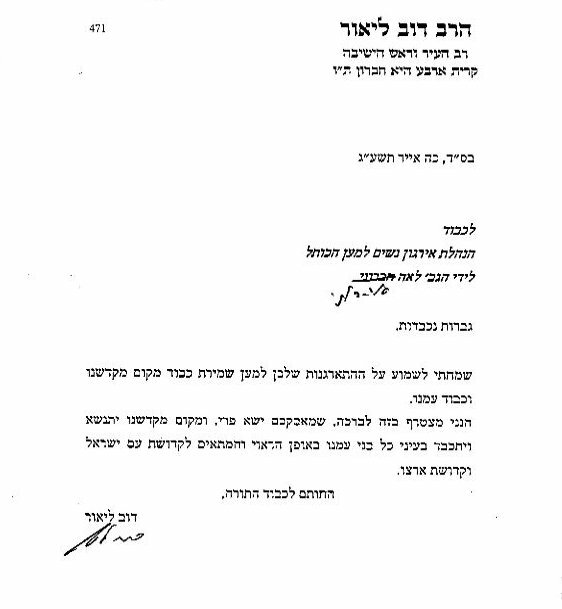 Just another day for WOW, harassed in haredi media and defamed by individuals who oppose our prayer. After receiving several invitations to debate and discourse publicly with the same individuals that proudly take credit for blocking our prayer and defaming us, we have decided to issue a statement for the sake of clarity. 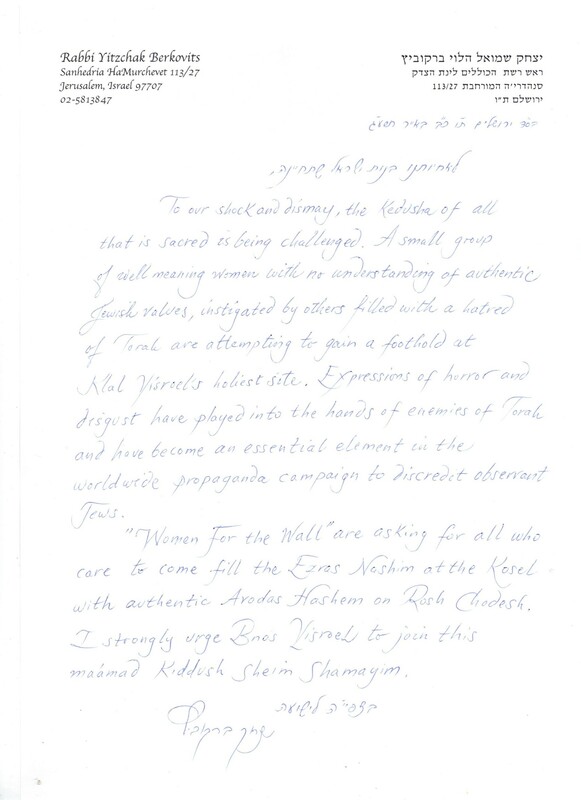 Regarding initiatives intended to create debate or discourse between Women of the Wall and those who oppose our prayer at the Kotel, our policy is clear: Women of the Wall refrains from participation in events that pit women against women and promote groups that incite hate and violence against women. Once again, WoW says they’re not interested in dialogue, and resorts to inflammatory language such as “defamation” and “inciting hate and violence” — as if W4W had done any of those things, or that W4W is pitting women against women. Let our own position be clear. Men and women — and women and women — were pitted against each other from the start of WOW. As their own leaders have written, WOW came to shock, to provoke, to change. They came fighting and it was very sad, especially since this was made into a battle of the sexes. We started W4W not to “pit women against women,” G-d forbid, but to enable the true story to come to light. It has always been about women vs. women, but there was previously no reaction as WOW leaders used defamatory words like “secondary,” “subjugated” and “coerced” to describe us. Now we have shown these nasty words do not describe us — and despite the insults, we have reached out, sister to sister, in an effort to find a mutually agreeable solution. We knew there would be no dialogue until the story was cast accurately, and we have done that. We don’t agree with WOW any more than they agree with us. But they know full well that our efforts have reduced the level of anger and violence. We will continue to reach out, sister to sister. It is up to them to simply accept our offer to share a table. Their very name shows their lack of honesty and their intent to distort the truth. Women who come to the Wall once a month for an hour or two cannot call themselves “Women of the Wall”. This is a name reserved for women who truly devote themselves to the Wall, coming every day and praying there devotedly for extended periods of time.